When Teen Super-Heroes Go To Class, Anything Can Happen! In Stores May 22, 2007. * Full-length Audio Commentaries for two segments, featuring Producer Lou Scheimer, and actors John Berwick and Johnny Venokur. Hosted by Andy Mangels. 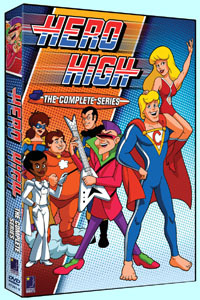 Commentary segments include the Hero High episode "A Fistful of Knuckles" and The Kid Super-Power Hour wraparound segments and song. Interview with Actor John Berwick/ "Rex Ruthless"
Interview with Actor Johnny Venokur/ "Punk Rock"
* Rare The Kid Super Power Hour footage (approx. 20 mins. ): By popular demand, the live-action opening credits, joke segments, and theme song by the Hero High Singing Group! 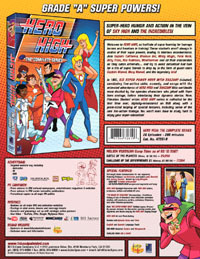 Welcome to Hero High, an institute of super learning for teenage heroes and heroines in training! These students aren't always in control of their super powers, leading to hilarious misadventures. Join Captain California, Glorious Gal, Misty Magic, Punk Rock, Dirty Trixie, Rex Ruthless, Weatherman and all their classmates as the catch criminals...and try to avoid detention! And look for a trio of super friends to drop by in the form of guest-stars Captain Marvel, Mary Marvel, and the legendary Isis! 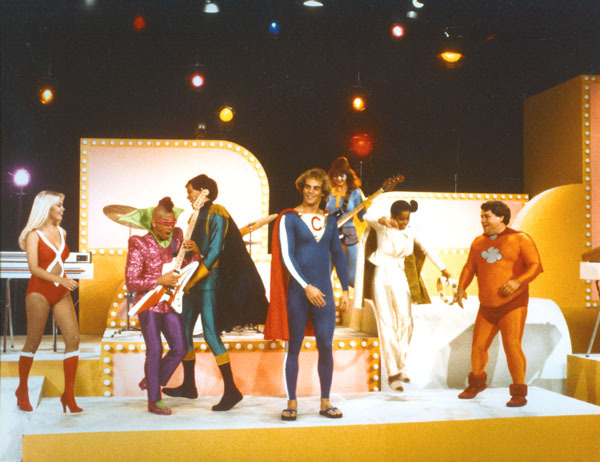 In 1981, The Kid Super Power Hour with Shazam! 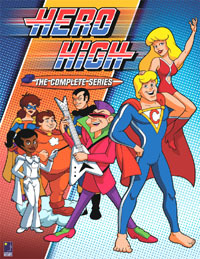 debuted, combining live-action skits, comedy, and songs with the adventures of Hero High and Shazam! Kids worldwide were dazzled by the spandex characters who joked with them from onstage, before introducing their dynamic stories. Now, Filmation Studios' entire Hero High series is collected for the first time ever, digitally-remastered on DVD along with a prom-sized helping of special features, including some of the rare live-action footage. You won't even have to study hard to enjoy your super-education! 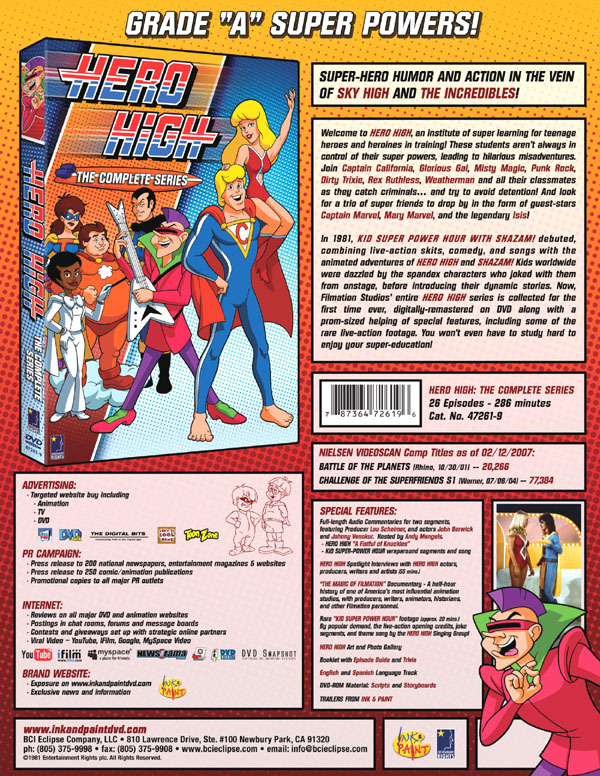 Super-hero humor and action in the vein of Sky High and The Incredibles!